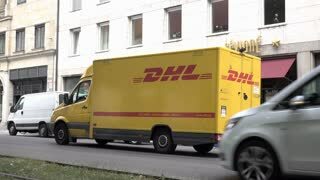 March 2019, Editorial use only, 3d animation, DHL delivery vehicle. 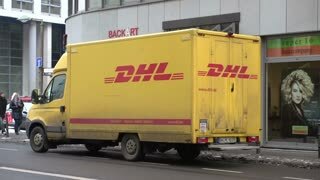 Editorial, DHL Express logo on glass building. 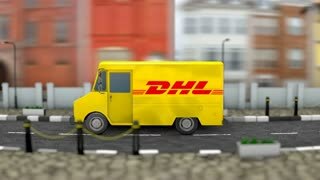 DHL flag waving on sun. Seamless loop with highly detailed fabric texture. Loop ready in 4k resolution.